The Standing Stone: Tomb 4, Passage Tomb, Carrowmore, Co. Sligo. Tomb 4, Passage Tomb, Carrowmore, Co. Sligo. 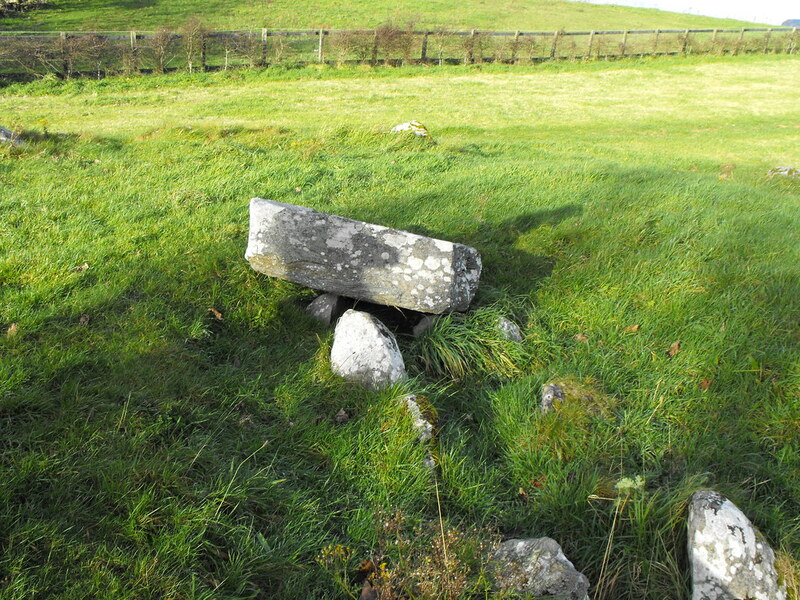 Location – Next to tombs 1 and 2 and opposite the visitors centre. 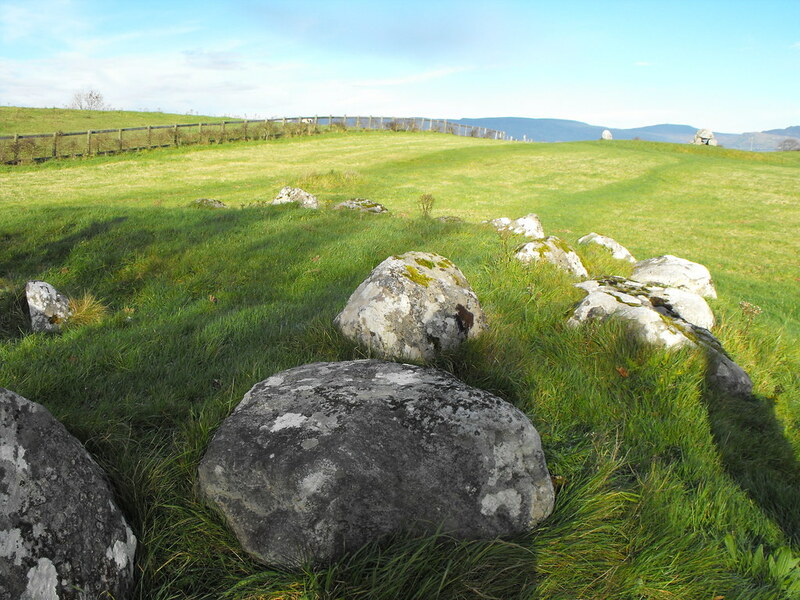 Description and History – There have been different numbering systems over the years for the Carrowmore tombs and this one is sometimes referred to as tomb 3. Tomb 4 seems to be the most common name. This is an interesting tomb and much better preserved than tombs 1 and 2. 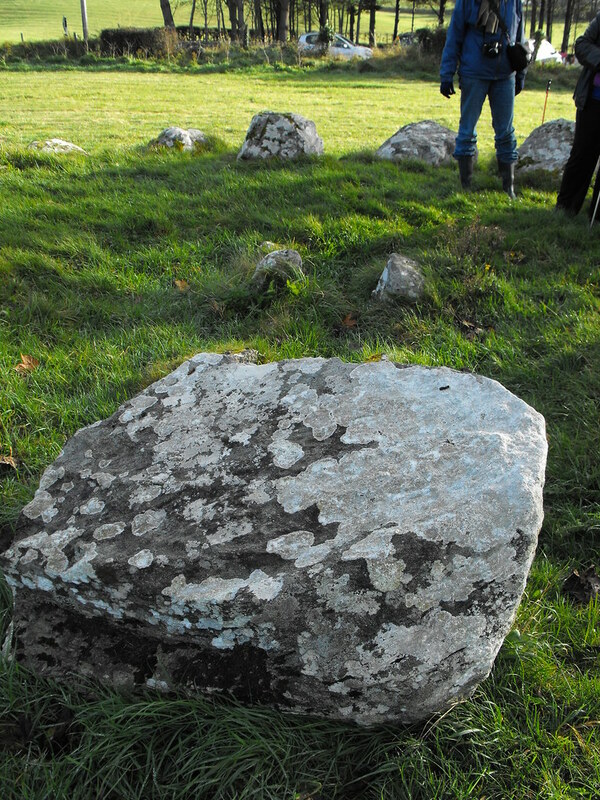 This is a simple boulder circle with a passage tomb at the centre. 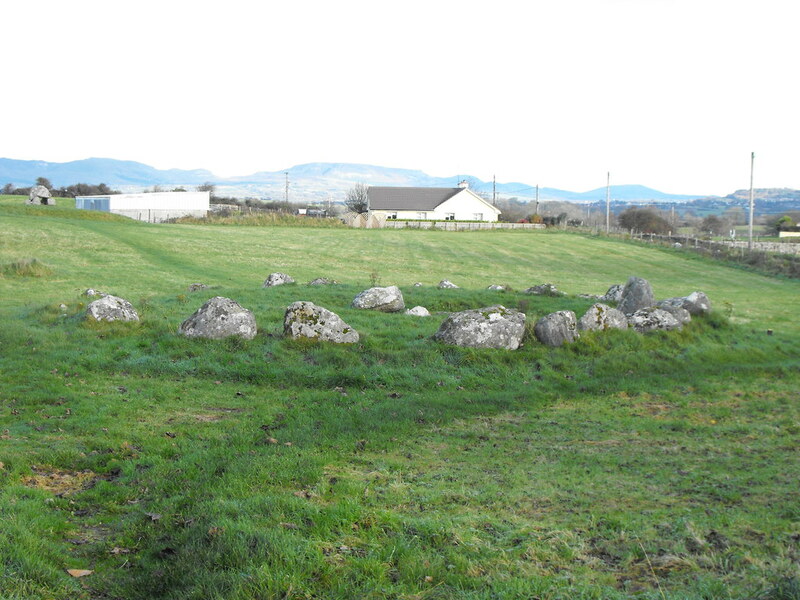 Thirty stones remain of the outer circle. This is probably the most controversial tomb at Carrowmore and showed the earliest dates recorded for a tomb in Ireland. This has been disputed, however, and recent excavations have shown that this tomb was in use for a long time and was multi-period. The early dates recorded for this site are 5400 B.C, although a range of dates up to 2900 B.C have also been found. 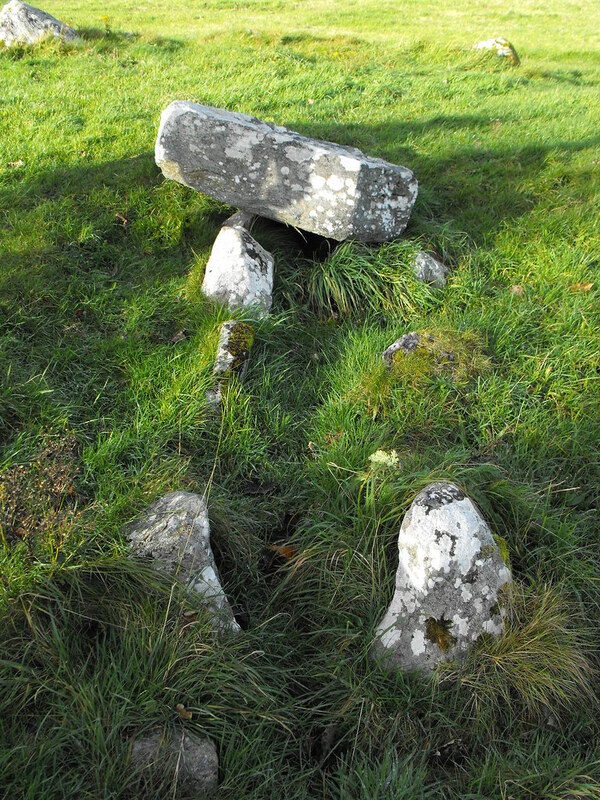 The reuse of this tomb indicate that it was never covered with a cairn. 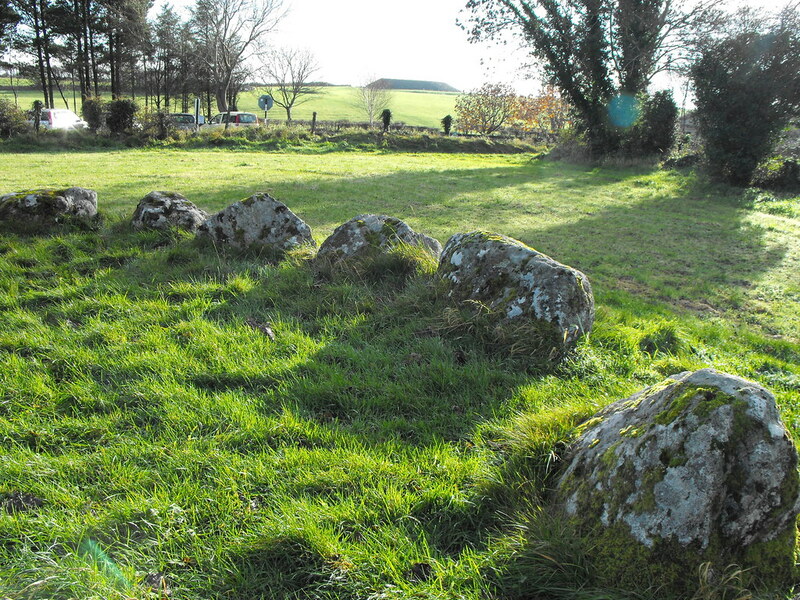 As with all sites at Carrowmore it is wise to be suspicious of all the very early dates found as they go against the rest of the dates indicated in Ireland. Pins and beads were found here as well as 32 kilos of cremated human bones from over 50 people. Difficulty – Very easy. This is first tomb you will see as you enter the field opposite the carpark at the visitor’s centre. Tomb 4 from a distance. The small passage and chamber. The capstone from the rear.